We have gone camping as a family every year. For whatever reason, I seem to have selective memory when it comes to our camping trips. In the winter months, I remember our trips as these fun adventures that have brought my family closer together. In the months leading up to a prospective camping trip, my optimism is full-blown. We all look forward to days of exploring nature, hanging out at the campsite free from iPads and iPhones, followed by dinners grilled over the fire and stargazing. It sounds downright heavenly. A week before a camping trip, reality begins to set in. As I take stock of camping gear we have, what we need, and what needs to be replaced, the bills start to rack up and I try to ignore the fact that I’ve just handed over the cash equivalent of a nice hotel stay to REI. Then we hit the road (without our devices, of course) and my kids refuse to find ways to entertain themselves despite the road trip games I so thoughtfully packed. Audible whining ensues. Then, the camping. Past selective memories of nature, cookouts, and stargazing are in reality more like mosquitoes, burnt hot dogs, and 10PM overtiredness. Um, why did we do this again? This year, I’ve wised up. We’re taking our camping “adventures” to the backyard, where we can enjoy the comforts of our own beds and homes if we so choose. Since we won’t have an official campfire, I’m baking the next best thing: S’mores cupcakes. They’re decadent chocolate cupcakes topped with homemade, fluffy marshmallow icing, the garnished with crushed graham crackers and a piece of milk chocolate on top. Hopefully these cupcakes will convince my kids that skipping the camping trip this year was a good idea. As a shortcut, skip the homemade chocolate cupcake batter and go for a boxed mix instead. The marshmallow icing and toppings are what make these cupcakes truly special—make sure to make those from scratch! Note: If can’t get your hands on American-style Graham Crackers, substitute with good old McVities Digestives or Arnotts Marie biscuits from the supermarket. Hopefully these cupcakes will convince my kids that skipping our yearly camping trip was a good idea. Then, follow the instructions for marshmallow icing here. Step 2: In a medium-sized mixing bowl or the bowl of a stand mixer, mix butter and sugar until fully combined. The end result should look like wet sand. 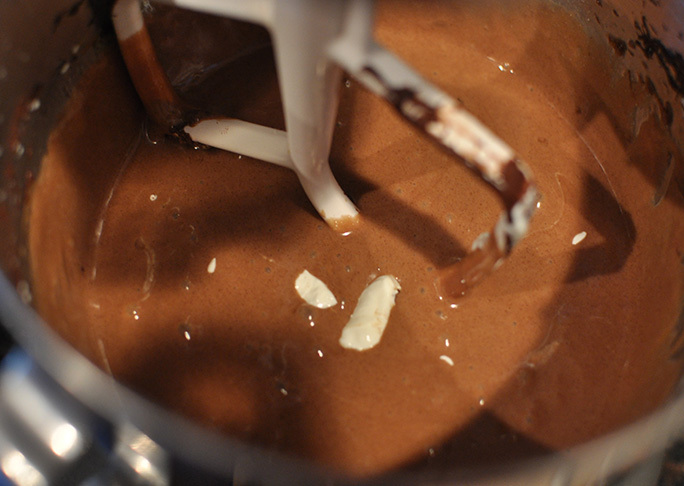 Step 3: Melt the chocolate in the microwave or in a double boiler. Step 4: Once the melted chocolate is cool enough to touch, add it to the butter/sugar mixture and mix until just combined. 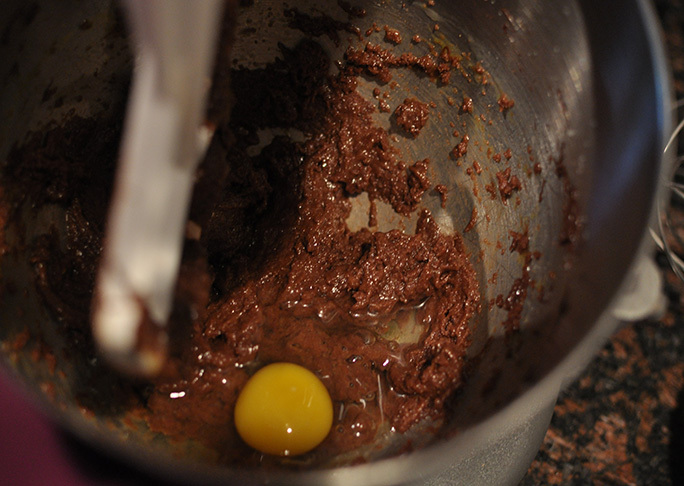 Step 5: Mix in eggs and egg yolks, one at a time, until just combined. Step 6: Mix in oil, vanilla, and sour cream until just combined. 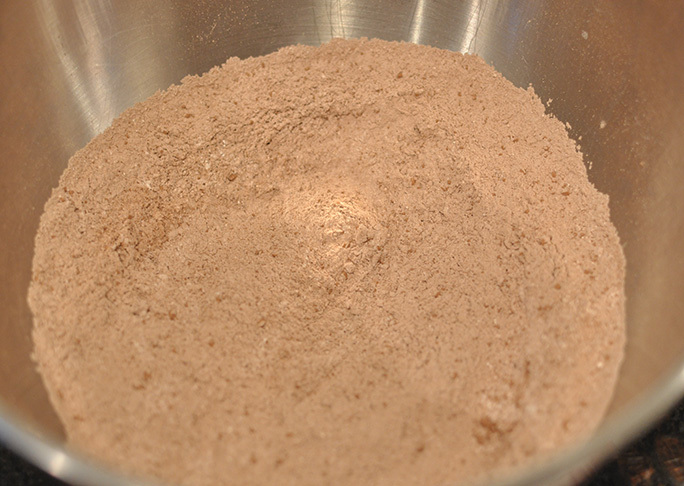 Step 7: Sift together flour, salt, baking soda, and cocoa powder into a separate medium-sized bowl. Use a fork or a whisk to ensure that the ingredients are combined well after sifting. Add dry ingredients to wet ingredients in three additions, mixing until just combined after each addition. Step 8: Mix in water until just combined. Step 9: Fill cupcake liners 2/3 full and put in the oven. Step 10: Bake for approximately 18 minutes or until a toothpick inserted into the center of a cupcake comes out clean. Remove cupcakes from the cupcake tin and place on a cooling rack to cool to room temperature. Step 11: Mix up Marshmallow Icing and scoop it into a pastry bag. Attached a piping tip. 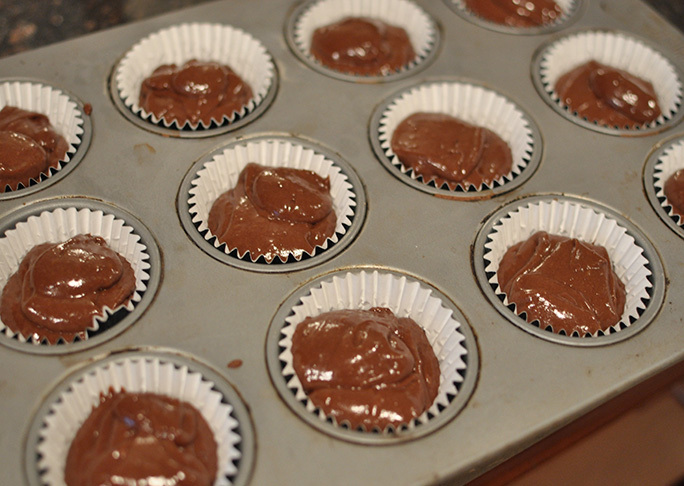 Step 12: Pipe frosting onto each cupcake, sprinkle with graham cracker crumbs and drizzle with chocolate syrup. 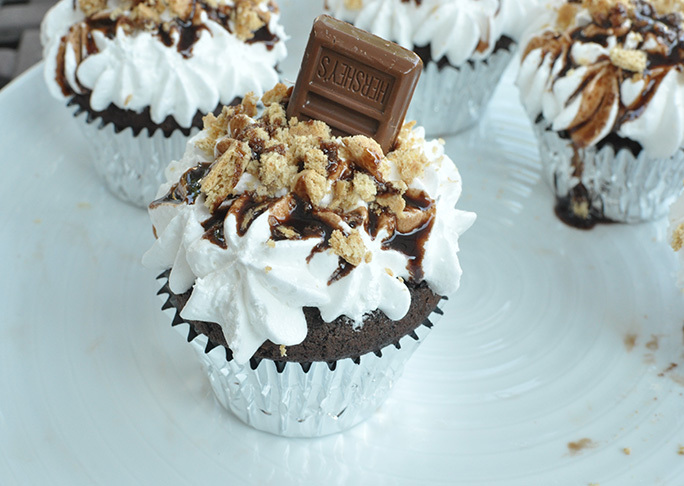 Top each cupcake with a piece of milk chocolate and serve immediately. Tip: Cupcakes will hold in a cool place for up to one day.